Did you know that most personal care products for men are just as harmful as women’s? The conversation about phthalates and other contaminants typically revolves around women’s hormones, but unfortunately these harmful ingredients have a similar effect on men. Phthalates are commonly found hidden under the term ‘fragrance’ on any ingredient list. Increased levels of phthalates in a man’s system causes lower testosterone levels and decreased sperm count. This is detrimental to this reproduction capabilities as well as their overall health. Even a recent article from the popular mens magazine, GQ (see here) recently reported such findings. A safer option is HERE! 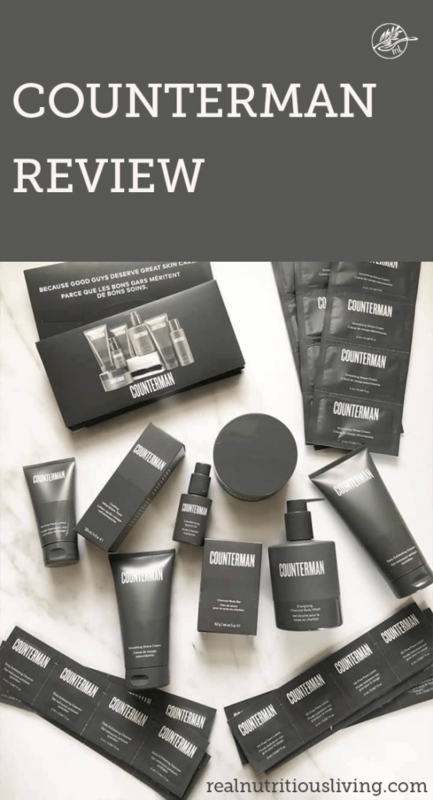 This Counterman review features a line of safer, results-driven skin care designed specifically for men. It features breakthrough Sequoia Stem Cell Complex to help protect skin from every day stress. Find out more and shop Counterman, HERE. 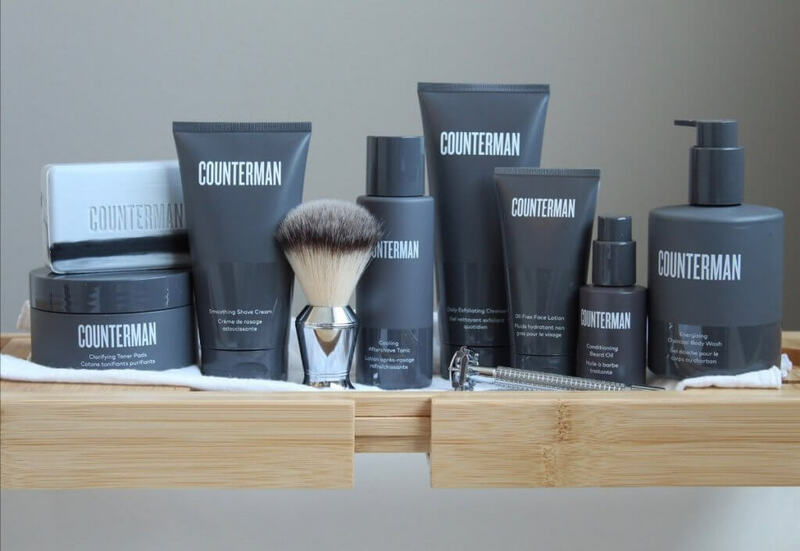 Counterman Daily Exfoliating Cleanser: My husband loves how his skin felt after using this cleanser and how it “removed the all the dry skin and gunk.” My husband leaves this one in the shower for evenings. You can grab it here . Counterman Clarifying Toner Pads: These have become my husbands go to and one of his top three from the entire line. 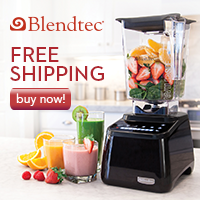 They shrink pores, remove excess oil and dirt and protect from everyday environmental stress. This is my husbands go to am cleanser and refresher. Grab them here. 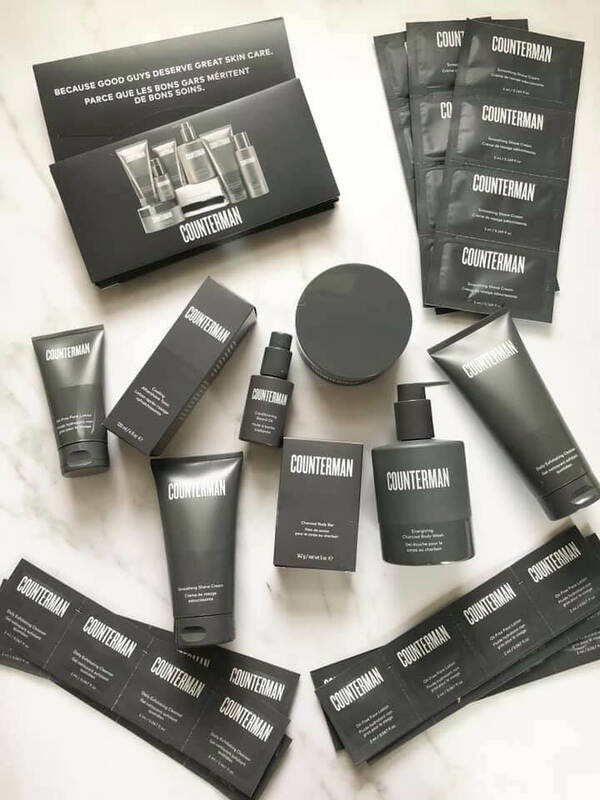 Counterman Oil-Free Face Lotion: Lightweight and non-greasy, this daily moisturizer absorbs quickly and boosts hydration. Featuring Sequoia Stem Cell Complex, oil-controlling ingredients, and taurine, it helps prevent shine, improve skin’s resiliency, and protect from everyday environmental stress. My husband is not big on lotions but my male clients who do already wear face lotion daily love it! Grab it here. 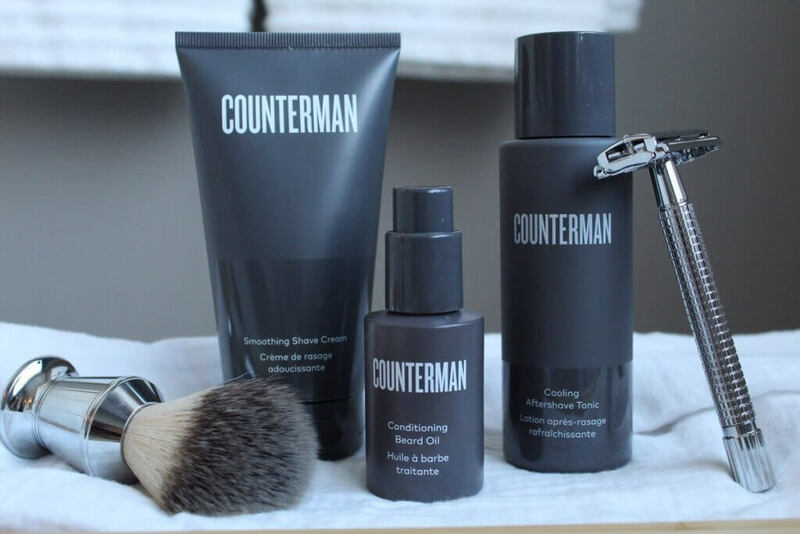 Counterman Smoothing Shave Cream: Ok, my husband and I both love this one (thank goodness we got two!) A little goes a long way with this concentrated formula. I suggest using a shave brush because you will use even less product. Grab the cream here. Counterman Cooling Aftershave Tonic: This one is probably my husbands favorite. After banning cologne from our home years ago, my husband is loving having something to smell good again. His skin is pretty sensitive and he finds this very calming after shaving! Grab it here. Counterman Conditioning Beard Oil: This has a fresh woodsy scent from bergamot and vetiver essential oils and can be used as a leave in conditioner that also protects from environmental stress. This leave skin hydrated and less itchy. The feedback I received was after using this men didn’t realize how much they were itching their beards! Grab it here. Counterman Charcoal Body Bar: “Irish spring meets the spa without drying my skin.” Formulated with charcoal, coconut oil, and Sequoia Stem Cell Complex, this invigorating body bar produces a creamy lather to wash away impurities and protect skin from everyday stress. A blend of natural citrus, mint, rosemary, and cedarwood oils give this daily soap it’s refreshing scent. Grab it here. 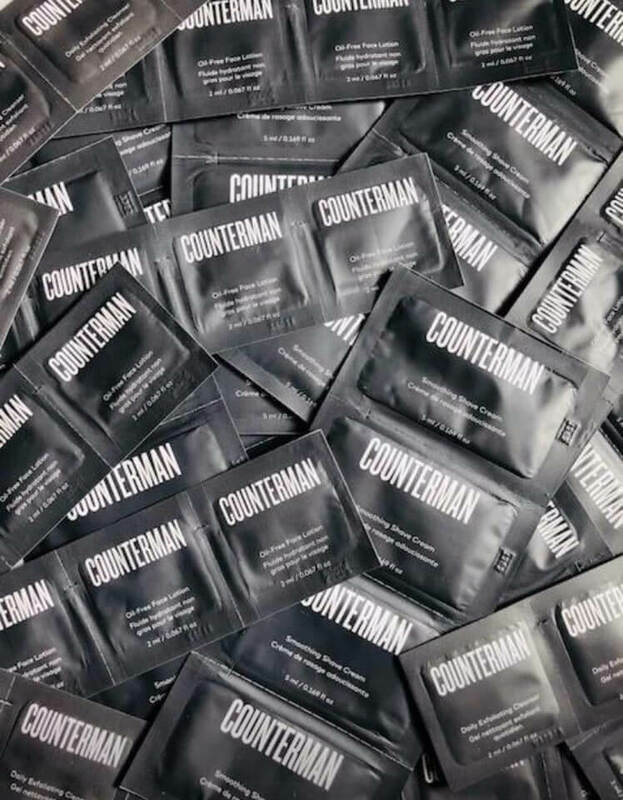 Counterman Energizing Charcoal Body Wash: Like the bar, this one pulls out impurities, smells great and leaves skin hydrated and protected against environmental stress. My husband preferred this to the bar, which was surprising as he’s normally a bar user. Grab it here. 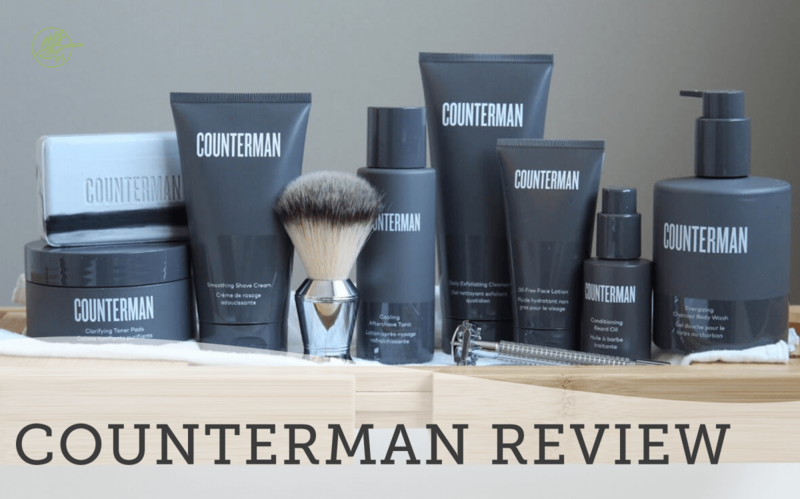 I didn’t want to end this Counterman Review without giving you some practical steps to clean up the rest of your man’s routine…. 5. Cologne or aftershave: contains toxic phthalates and fragrance which mes with hormones and man parts. My hubby is over the moon to have a safe aftershave again and is using this one from the new Counterman line. Did you learn something new from this Counterman Review? Comment below which product do you plan on swapping first?